Most of the time a solid translation, good reading skills, and a solid grasp of the story-line of the Bible is good enough for constructing the rough outlines of a good doctrine of God. I mean, you can at least come up with a solid handle on the Creator/creature distinction, God’s power, righteousness, love, and so forth mostly by cruising through the text with a sharp eye and a keen mind. That said, sometimes a knowledge of the way Greek or Hebrew works can come in handy, especially when your doctrine is being challenged at that level. Take the doctrine of the Trinity, for instance. It’s hard to get more obvious than that. It clearly says that the Word, later explicitly identified as the one who becomes flesh in Jesus (1:14), was with God in the beginning, that is, before the creation, and is the agent of creation. In the biblical storyline, there are only two main categories of reality: God and all the stuff God made. The Word is clearly identified as being on the “God” side of the line. Also, there is the explicit identification, “the Word was God.” That seems pretty obvious too. But, thing is, that’s where a dispute can arise. You see, Jehovah’s Witnesses and other deniers of trinitarian doctrine will often point out that in the Greek, the word “God” (theos) is missing the definite article in the phrase “the Word was God”, meaning it should be read as “the Word was a God” not “The Word was the God“, the sense implied by the typical English translations. In which case, it’s not really teaching he is fully God in the same sense as the Father, but that he is divine in some modified, lesser sense. The absence of the article may be a “purely grammatical phenomenon.” When, as here, a Greek sentence uses “to be” to connect a subject and a predicate noun, the predicate noun normally lacks the article, even when it is definite. So the absence of an article implies nothing about the precise sense of theos. This argument is even stronger in passages like ours, where the predicate precedes the subject. The “Colwell Rule” states that in such a sentence, the predicate noun usually lacks an article, even though it is definite, but that the subject of the sentence, if definite, will employ the definite article. So again the phenomenon has a grammatical explanation and does not presuppose any change of meaning between “God” in clause two and “God” in clause three. As we have seen, in such constructions the predicate noun usually or normally lacks the article. Following that normal practice here may have also served the author’s purpose to draw additional attention to the term God, the center of the chiasm [Frame identified a chiasm earlier in the text]. Dropping the article focuses on the noun itself, and it brings the two occurrences of theos closer together in the chiasm. This consideration weakens further the need for further explanation. In similar verses, where theos is a predicate noun lacking the definite article, a reference to God in the fullest sense is indisputable (see Mark 12:27; Luk 20:38; John 8:54; Rom. 8:33; Phil. 2:13; Heb. 11:16). 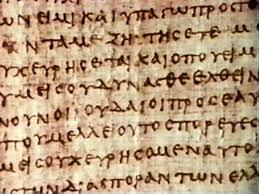 There are many other verses, some in the same first chapter of John, in which theos lacks a definite article, but in which the reference to God in the fullest sense is indisputable. Nobody would claim a reduced meaning of theos, for example, in 1:6, 13, or 18. Even if we grant that theos without the definite article puts some emphasis on the qualities of God rather than his person, this supposition does not entail that theos is the third clause has a reduced sense. To prove otherwise, one must show that the qualities in view are something other than the essential attributes of God. If the qualities are essential qualities, then the third clause identifies the Word with God in the highest sense. A very strong argument is needed to prove that the meaning of theos changes between clause two and clause three. That burden of prove has certainly not been met. This is the kind of text and objection that has been used to mislead hundreds of thousands of, largely well-meaning people like Jehovah’s Witnesses into denying one of the most sacred truths of God revealed through Christ. Still, we see here the both the rules of Greek grammar and close attention to the use of the definite article in similar texts throughout both John and the rest of the NT reveals this objection to be a very weak one indeed. As I said before, I think that other features of the text, the context surrounding it, and a good grasp of biblical theology are probably good enough to ward off challenges to most doctrine. The average churchgoer probably doesn’t need to know Greek in order to be confident of the truth classic, trinitarian doctrine. Every once in a while, though, it can come in handy. I’m not saying every Christian needs to know Greek but sometimes a little Greek goes a long way in preventing heresy. A problem for the JWs too, I think, is that in John’s gospel God is said to be the ‘one true God’. If Jesus is ‘the truth’ how could he be ‘God’ in a weakened, less true way?